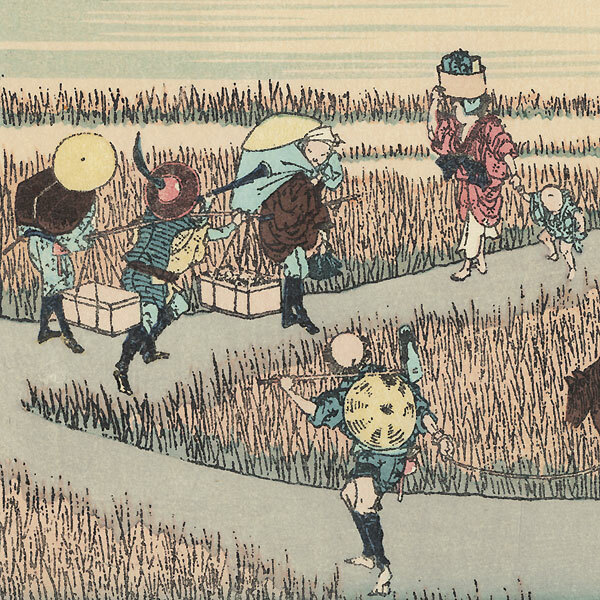 Fuji in a Good Harvest - Beautiful Hokusai print depicting life in the Japanese countryside. 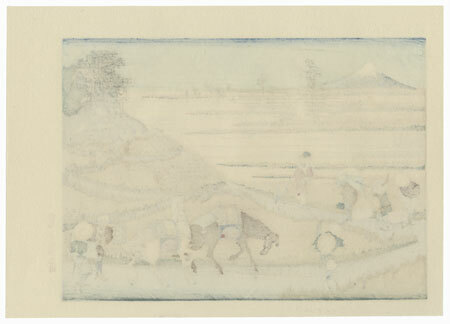 Travelers and peasants make their way along a path, tall grass along the roadside. 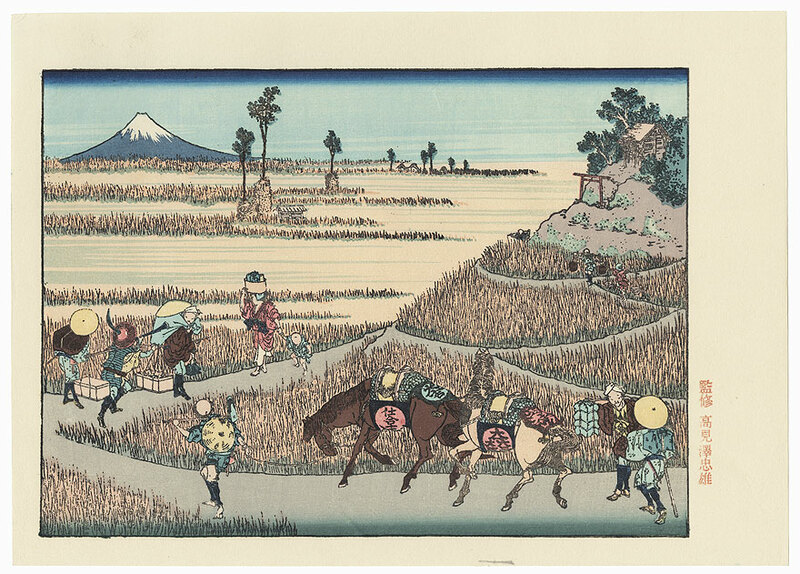 Fuji rises beyond. Lovely color and detail in this attractive landscape.